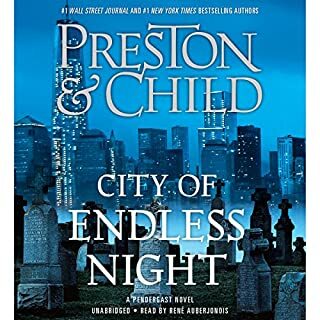 Gideon Crew - brilliant scientist, master thief, intrepid adventurer - is shocked when his former employer, Eli Glinn, vanishes without a trace, and Glinn's high-tech lab Effective Engineering Solutions shuts down seemingly overnight. 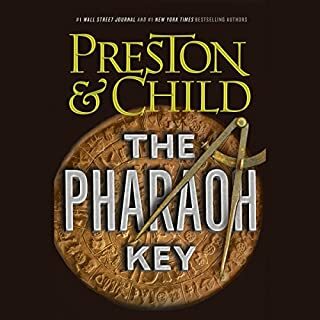 Fresh off a diagnosis that gives him only months to live, Crew is contacted by one of his former coworkers at EES, Manuel Garza, who has a bead on one final treasure hinted at in EES's final case, the long-awaited translation of a centuries-old stone tablet of a previously undiscovered civilization: The Phaistos Disc. 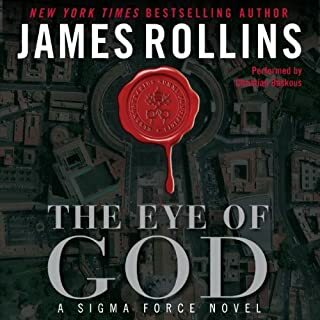 Author of numerous New York Times best sellers, James Rollins captivates listeners with his thrilling Sigma Force series. 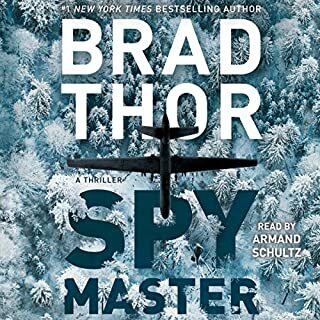 This sixth book features Commander Gray Pierce in a race against time to solve an ancient riddle - one that prophesies the world's destruction. 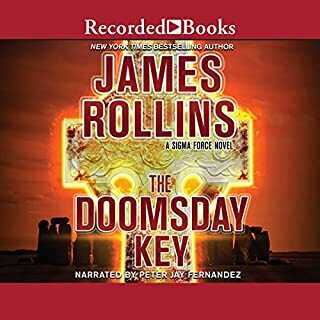 Pierce will have to journey from the Roman Coliseum to the icy peaks of Norway to uncover the Doomsday Key in time. From a crystalline lab atop Mount Fuji to an island off of Hawaii teeming with what's been called the "dark matter of life", Sigma Force must solve a mystery going back eons, to when life first took root on this planet. But the menace is spreading, changing, growing, adapting, outwitting every attempt to stop it. It means to retake a world it once ruled. 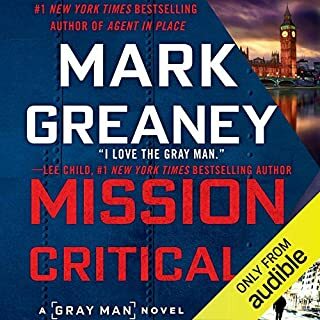 For Sigma Force to stop it, Commander Grayson Pierce will have to do the unthinkable: team up with Sigma's greatest enemy - the newly resurrected Guild - even it if means sacrificing one of their own. This was a great novel. So full of action and keeps you sitting on the edge of your seat. The narrator has finally found a great speed. His past performances have been taxing and sleepy at times but not this time. What did you like best about The Demon Crown? What did you like least? His attempts at accents and different voices is very weak, but what bothers me most is everything sounds like the characters are amazed at even trivial conversations. I keep telling myself I won't buy another book narrated by Christian Baskous. I absolutely hate this narrator! I keep trying books narrated by Christian Baskous. Frankly I'm surprised he keeps being hired. His narration is awful. Every character reminds me of an angst-ridden teenager. I can't listen to him! Great book ruined by poor narration. I will no longer purchase books narrated by Christian Baskous. 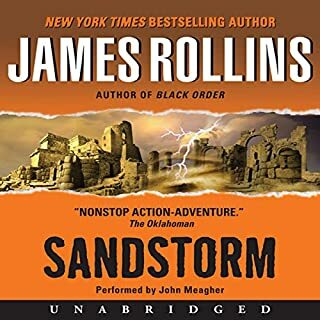 Rollins does great research, and Baskous always turns his words into real action. That said, the trials and tribulations of our friends in Sigma Force are starting to get repetitive, derivative and predictable. If not for the craft of Baskous, I would likely have turned off this series by now. Recommended for fans of the series only. 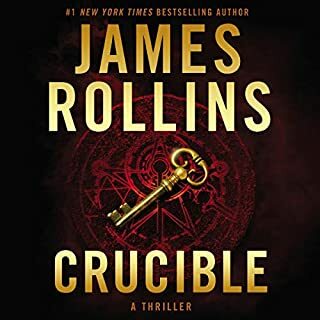 I have read other books by Rollins this is by far the worst! The narrator is just awful and I am trying to be kind!!! The narration was poor. The way the narrator added his inflections into the story took away from the storyline. The story was marginal and didn’t flow well. 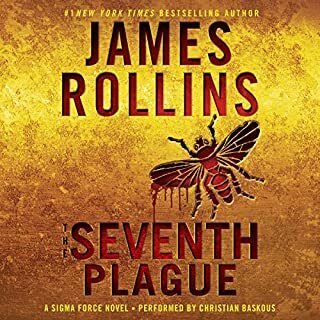 I’m going to be very cautious buying another James Rollins book if the narrator is the same. What made the experience of listening to The Demon Crown the most enjoyable? I never could listen to audiobooks before. I would zone out and miss half the story or it would put me to sleep. 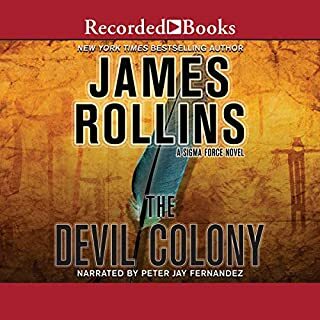 I signed up for a free trial to see if I could ever get used to audiobooks. The story is action packed and you just might end up with a phobia afterwards. 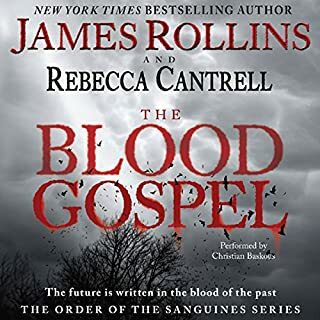 James Rollins knows how to write an amazing thriller. The narrator Christian Baskous was perfect! I love how he did different voices and there was no monotone to his voice. I had no trouble following the story. Now I am addicted. 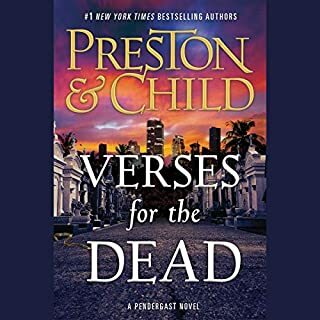 I didn't have a favorite character, but I did really enjoy the chapters from "the demons' point of view. It was a nice touch to the story. Have you listened to any of Christian Baskous’s other performances before? How does this one compare? This was my first book narrated by Christian Baskous. I have listened to other audiobooks before and always fell asleep or zoned out. I didn't do that once in this book. 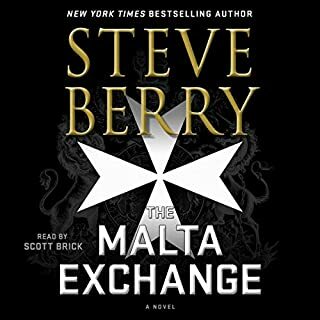 I really enjoyed Christian Baskous narration of the story. The impact that something like this would have on not just one particular place, but the entire world made this book even more frightening. 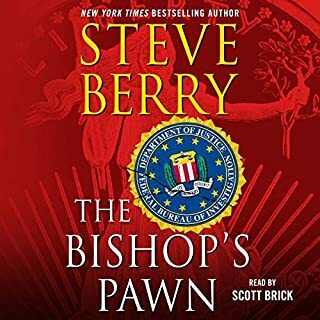 If you have had issues with audiobooks before this is the audiobook to try. Was there really a story? It was all action no story to me. No plot, no plot twist, not much of anything. 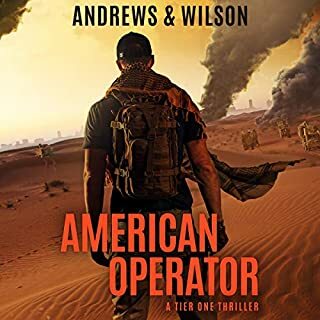 The action sequences were not believable - bad story by a good author. 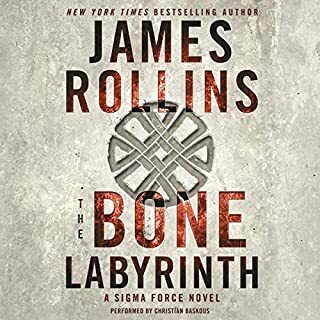 I very much enjoy the Sigma Force novels and this one is no different. 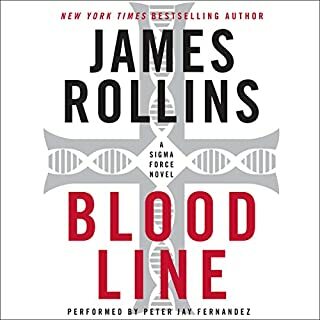 Rollins has perfected the art of blending historical facts, scientific facts, and a covert paramilitary organization in a way that keeps the pages turning. Parts of the book had me running to Google to fact check the information. While I'm fine with believing the entire thing, sometimes, the best lie has quite a bit of truth. Well done and well read. I look forward to the next. 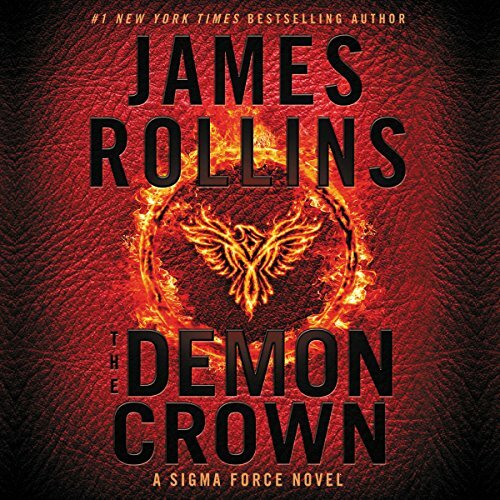 Well, Rollins has cost me another night of no sleep - but once I started listening to The Demon Crown there was very little chance I was going to take a break from it. To be honest, it's been a few books in the Sigma series since I've been &quot;wowed&quot; but this book did that for me. There is just not a place in the story where you can stop and take a breath - it just pulls you along and you just have to know what comes next. The research and detail is so well woven into the story it's not like &quot;ok, we need to stop now for an info dump&quot; - the story just keeps barreling on. Also, I think Christian does an incredible job with the audio - when he gets wound up during a high tension scene you can just feel it - something incredible is going to happen. One thing - I'm glad I listened to this when all the bugs outside aren't around (too dang cold) because I don't think I could have taken seeing a wasp - or even a mosquito. The only bad thing I can say is that I have to wait another year for the next Sigma book. Might have to go back and listen to some of my old favorites to give me my Rollins' Fix. 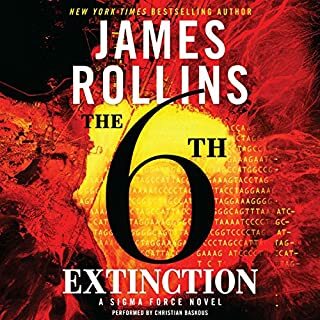 another amazing masterpiece by Rollins yet again he has outdone himself. my only complaint is how short it was. all of his stories end much too soon.